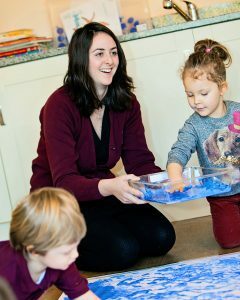 Attending one of our Open Days is a good way to gain a feel for the Nursery school. You will be able to tour the site and spend time discussing your childcare requirements with our team . We welcome all the family to these events to enjoy the relaxed atmosphere and indulge in our chefs home made cakes. If you like what you see at the Open Day, you are strongly encouraged to return for an individual visit and see our Nursery in full swing.